Look at your Reflection and apply some Makeup! Who hasn’t heard the story of snow white,Mirror on the wall, who in this land is fairest of all? Dressing Mirror reflect the personality and preferences of the people. Dressing table mirror is important bedroom furniture and occupies a very special corner of the bedroom. such glasses furniture is made to help you groom in comfort and peace of your own cozy bedroom. They are Mostly Preferred in bedroom as they compliments with more space and beauty. Various Designs are available along with the colour combination that matches the room decor. 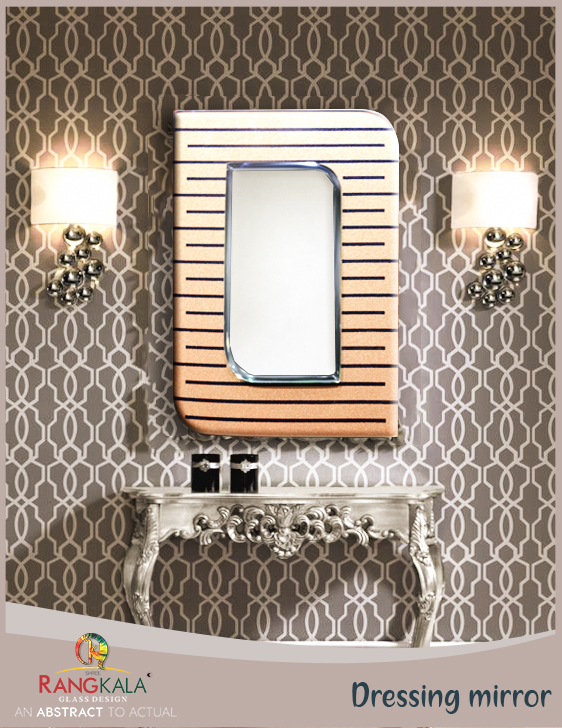 Shree Rangkala Glass Design Provides Unique designer Dressing Table Mirrors.